Sellers posting their gem items online for sale either on their own website or onto general marketplaces generally strive to earn the trust of potential buyers in their goods to increase the potential of the sale. One of the most difficult attribute to show and communicate is the gem's color. Color is one of the most important descriptors of a gem that greatly effects its price. A written description of the color is hardly enough and more often than none, even the uploaded image of the gem does not reflect the true gem's color. So how would an online seller gain the trust of his potential buyers? 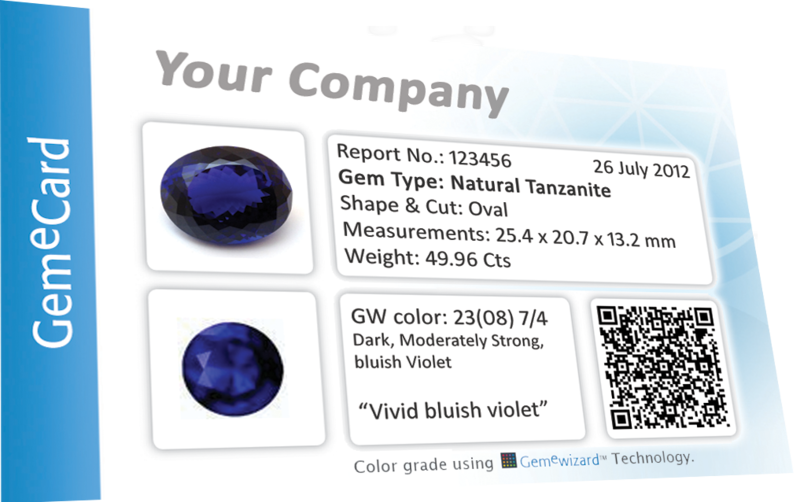 Gemewizard's technologies and tools enables an easy to use, friendly color verification tool, where a seller can verify or allocate a color to a gem, using Gemewizard's color images that could be added to the gem's html page. By doing this the seller actually commits to the gem's exact color, regardless of the quality of the uploaded gem's image and ensures a What-You-See-Is-What-You-Get experience for buyers. Sellers are also able to offer self-certified color cards for each of their items to their buyers. These cards, which include the item's image and the Gemewizard's color image, act as a documented commitment by the seller to their buyers of the gem's color. By gaining more trust and transparency, sellers would be able to grow sales, as well as save costs due to reduced product returns.